We are available 24 hours a day. All initial case evaluations and consultations are free. 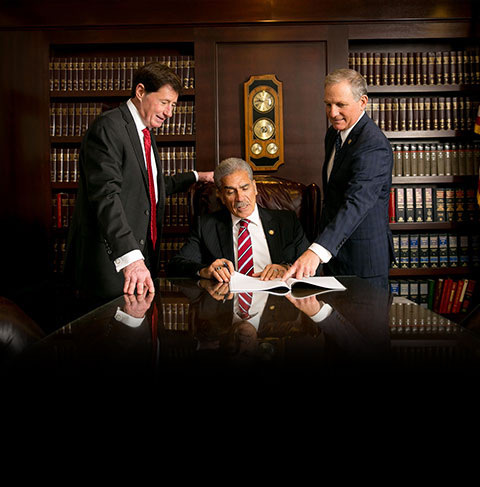 Our “Attorney Guarantee” – You will meet and speak with an attorney. You will not incur any legal fees or costs for our time and assistance unless we do our job and maximize your trial verdict or settlement. You Heal. We’ll Take Care of the Rest. The San Diego work injury attorneys at DiMarco | Araujo | Montevideo are available to meet you in the comfort of your own home, immediately at the hospital or at our office. You can call us 24 hours a day by telephone at (619) 946-6466 or contact us via E-Mail. We practice personal injury, workers’ compensation and work injury law in California, Central California, Los Angeles, Ventura, Long Beach, Orange County, Riverside, San Bernardino, San Diego, San Francisco, Santa Clara, San Jose, Sacramento and Fresno. We’re with you all the way.